Silver isn’t just decorative, and it has many uses beyond gifts for christenings or as a symbol for celebrating 25 years of marriage. We have a special place in our hearts for silver when it comes to gifts, so we thought we would provide a little more insight into this wonderfully versatile metal. Humanity has had a long and fascinating love affair with silver, a precious metal which has been used for centuries for its mesmerizing luster and purity. 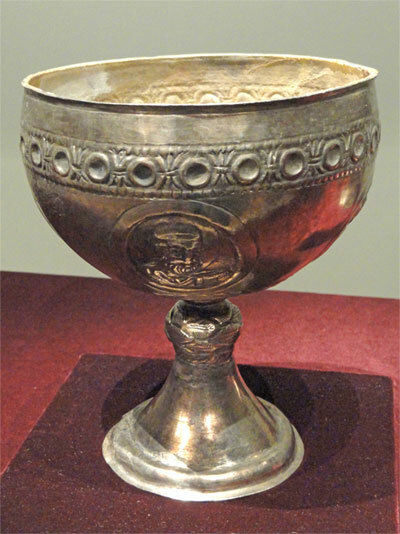 Archaeological evidence suggests that people have been enamored with silver for at least 5,000 years. When Was Silver First Discovered and Used? Silver occupies a prestigious place in the annals of history as it was one of the first five metals to be discovered and used by humans; alongside iron, lead, copper, and gold. Occasionally, silver can be spotted in minerals and rivers. If you’re lucky enough to spot a nugget of silver in the wild, then do your happy dance as it is an incredibly rare occurrence! Rare as it is, you’d be lucky to find even a tiny nugget, but there have been instances recorded in Colorado where there were “pieces of silver as big as stove lids and cannon balls.” However, that may be a tale that has grown with every telling. Silver and lead like to hang out together, such as in the mineral galena, a source of lead sulfide. Due to the metallic luster of Galena, the mineral would have caught the eye of the ancient man on the hunt for new sources of metal. Apart from the occasional lucky silver nugget people find glinting up at them from a river bed, the rest of the silver you see being used commercially comes from mines and is all the same chemical element (Ag). So, how are there different types of silver? 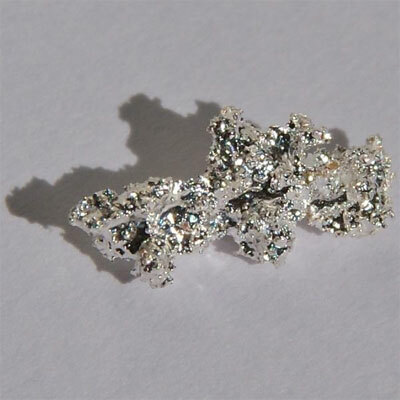 Pure silver – or the unprocessed stuff which comes directly from the ground - is too soft to be of much use in jewelry, gifts, and home décor items. Even though it is difficult to work with in its unaltered state, pure silver is incredibly shiny, but there are ways to make it more useful while maintaining the sparkle. 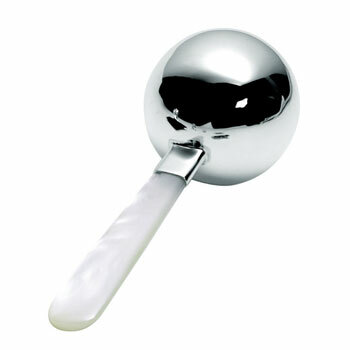 Unfortunately, any contact with the environment will cause pure silver to tarnish quickly. Just a whiff of ozone, or a sniff of hydrogen sulfide (sulfur in the air), and silver you could once see your face in rapidly turns it into a dull grey smudge! To make silver more usable and resistant to tarnishing it is mixed into an alloy called sterling silver, which is 92.5% percent pure silver, and the remaining 7.5% comprised of other metals. A favorite metal for mixing with silver to make sterling silver is copper. 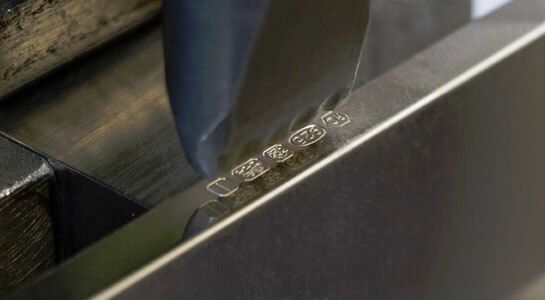 Sterling silver is usually hallmarked which guarantees that it has been independently tested by the assay office in the country of manufacture. The hallmark is usually stamped into the silver. 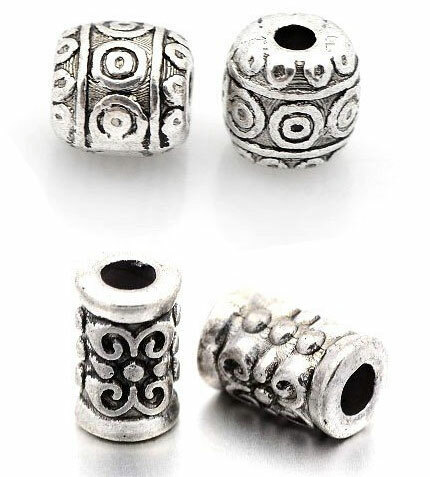 Tibetan silver is usually made in china where it is incorporated into jewellery items of slightly lower value. It is similar in some respects to pewter, although still containing some silver, other metals such as tin, copper; nickel alloy and zinc are added to make this metal more affordable. 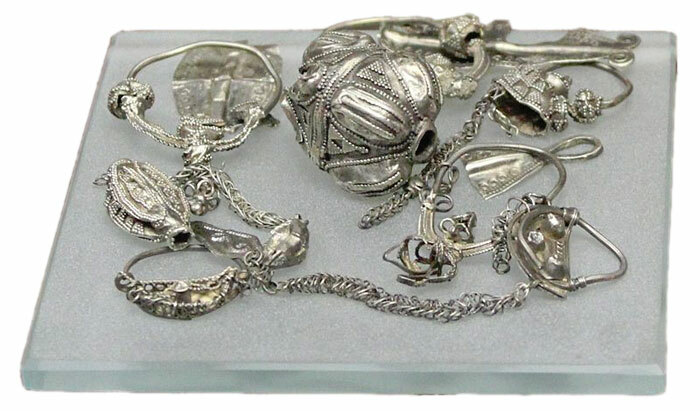 To make silver items accessible to the masses, jewelry and other items are made from a base metal and then plated with authentic silver using a process known as electrolysis. Electrolysis is a process where an item has an electrical charge applied to it while being dunked in an electrolytic bath of silver nitrate. Silver particles are attracted to and bond with the base metal to give it a beautiful silver shine. Many children's gifts are made from silver plated metals making them a much more affordable, yet still attractive baby or Baptism gift. Silver also has many uses in industry as well. 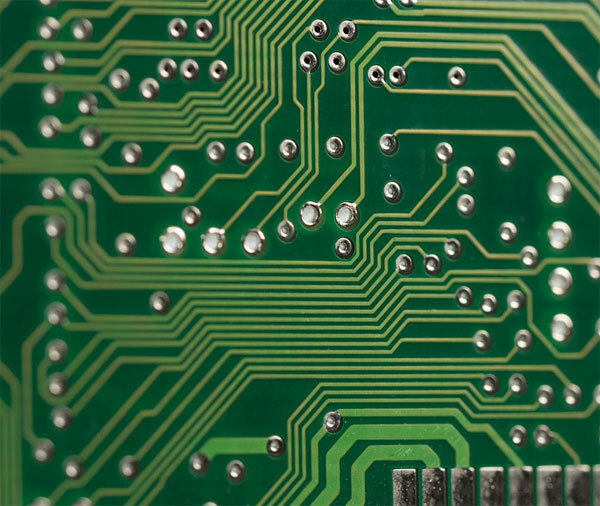 It’s the best conductor of heat and electricity out of all known metals, making it the perfect ingredient for the solder used in printed circuit boards that go into everything from toasters to flat-screen TVs! Silver may also be behind that reflection staring back at you every morning in the bathroom mirror. While mirrors can be manufactured from a few different materials, including aluminum, silver has no equal regarding reflective properties once it has been polished to a sheen. 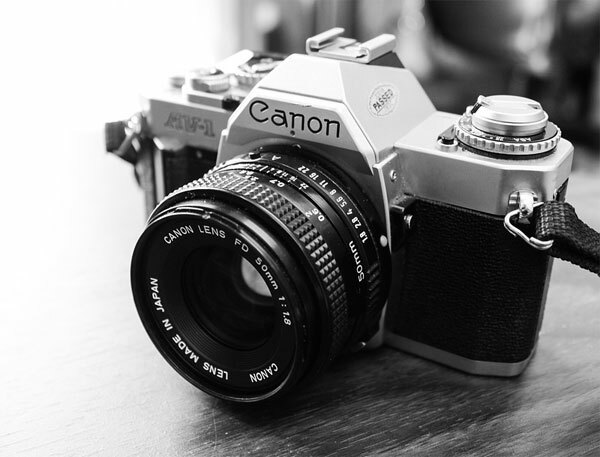 Silver is also the secret ingredient to cameras which still use film rather than digitally captured images. Silver bromide is sensitive to light. When suspended in a thin gelatin solution (the cellulose acetate of the film) it creates a photographic emulsion. 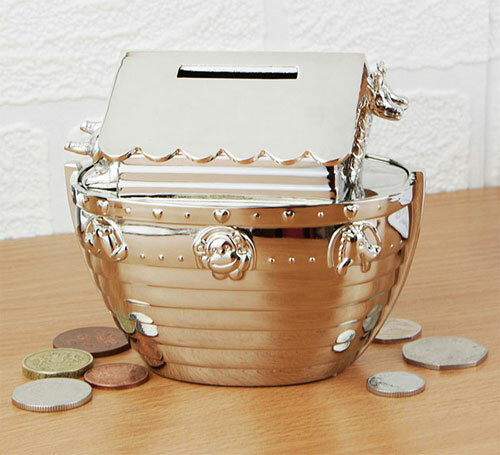 Why Silver is Popular for Baby & Christening Gifts? There’s nothing purer than a new life which has entered the world, and only silver can represent that purity in material form, but it also symbolizes faith, grace, humility, and fairness. 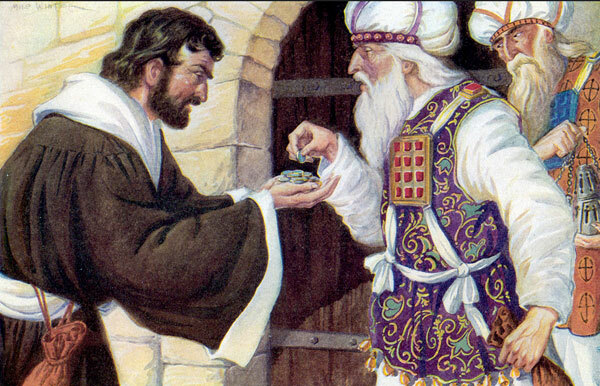 The Bible talks a great deal about silver as it often referred to as a symbol of wealth and richness in both a literal and figurative sense. Christening gifts of silver are often cherished for a lifetime and take pride of place on mantelpieces and display cabinets in many homes throughout the world. 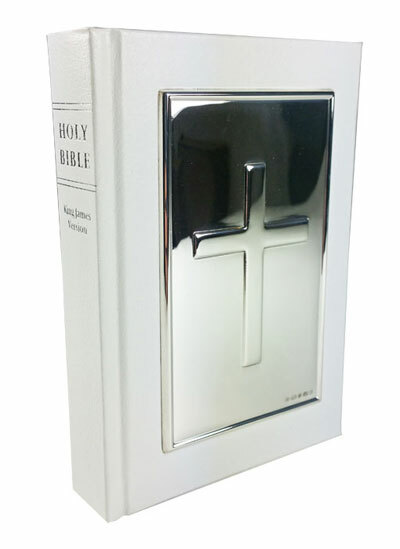 Silver Christening gifts can take many forms. Jewellery is an obvious choice particularly for little girls; and piggy banks are also a firm favorite and come in a wide range of styles. Another popular traditional keepsake is the silver cup or tankard, often embellished or embossed with complex and beautiful designs. For Scottish babies the silver Quaich (drinking cup with handles) may be more appropriate. Silver cutlery sets specially designed for little hands are another popular choice and make a thoughtful and enduring gift that will last a lifetime.